Product prices and availability are accurate as of 2019-04-14 21:10:17 UTC and are subject to change. Any price and availability information displayed on http://www.amazon.com/ at the time of purchase will apply to the purchase of this product. 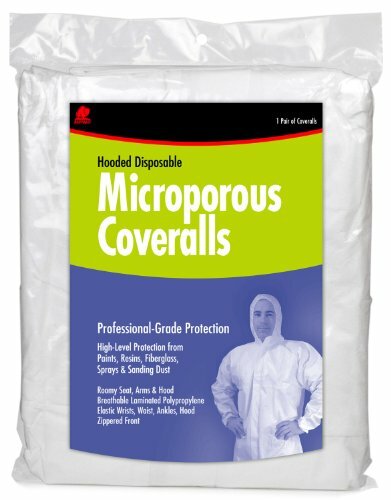 Hooded Microporous Coveralls offer a high level of protection from varnish, resins, fiberglass, paints, and sanding dust. Specialized lamination process allows for maximu, breathability. These highly chemical-resistant coveralls are constructed with a 2-way zippered front, elastic wrists, ankles and waist, and convenient front and back pockets. Available with hoods only.